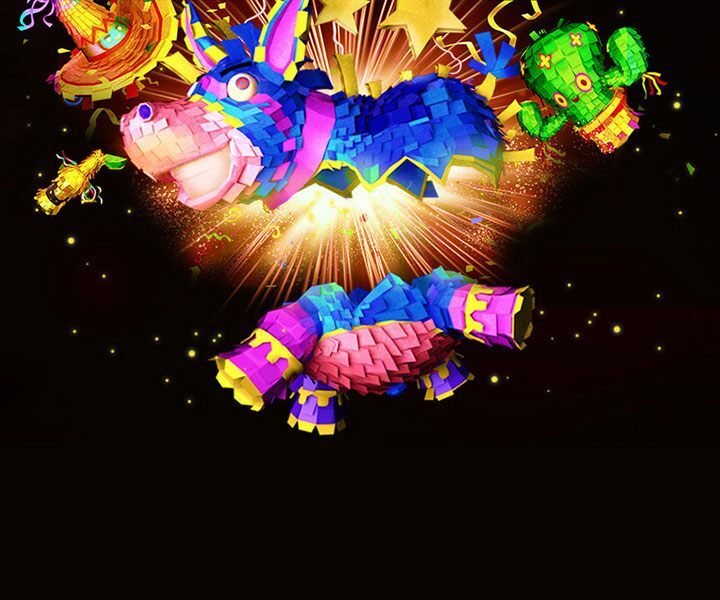 Enjoy 25 free spins for Popiñata! It's a warm night somewhere in Mexico, and a piñata party is taking place to the sounds of a cheerful mariachi tune. Creatively executed reel area displays colourful candy-full containers in various shapes hanging between two desert cactuses. The sombreros, fireworks rockets, guitars, beer bottles, and a few other party-themed symbols form winning combinations across 10 paylines or less, paying both ways. Popiñata is now available for our mobile, instant play and download casino. Go to the cashier's 'Redeem Coupon' section and enter a coupon code POP25! General Springbok Terms & Conditions apply. This Bonus is valid until May 2nd.